Cartersville - A Real Georgia Gem! Long treasured for her ancient Indian Mounds at Etowah, Cartersville appeals to diverse interests. 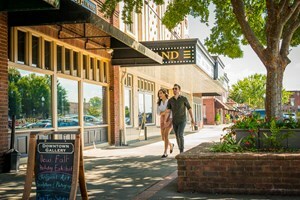 Hike the city's Pine Mountain Trail for a stunning view of Lake Allatoona, or stroll Main Street for shops and restaurants that surprise and delight. See the world first outdoor Coca-Cola Wall Sign (painted 1894) and a Smithsonian Affiliate museum that's unique in the Southeast. 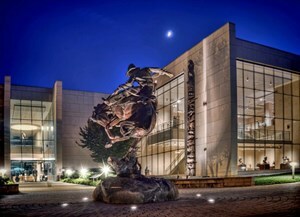 The Booth Western Art Museum houses the nation's largest permanent collection of Western American art, a gallery of original letters from all US Presidents, and August 2019 through January 2020, will host Andy Warhol's Cowboys and Indians portfolio, his last major project. North of town sits Cartersville's second Smithsonian Affiliate museum, Tellus Science Museum. Tellus displays the wonders of the earth and stars and celebrates human technological achievements. Experience Victorian splendor at Rose Lawn Museum - the jewel of the historic district. For a quirky find, see Old Car City USA where wild vegetation grows through hundreds of rusting classic cars creating a beauty impossible to recreate. A folk artsy exhibit shed features a Styrofoam cup art gallery and Elvis' last car. Travel sports families gather at Lakepoint Sporting Community year-long. The complex features state of the art facilities for all major sports, a wakeboard park and indoor entertainment complex. 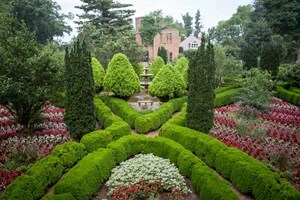 Rretreat to Barnsley Resort where an 1850 estate with magical gardens has bloomed into a coveted southern resort.